— Sir. Richard J. Roberts Ph.D.
Sir. 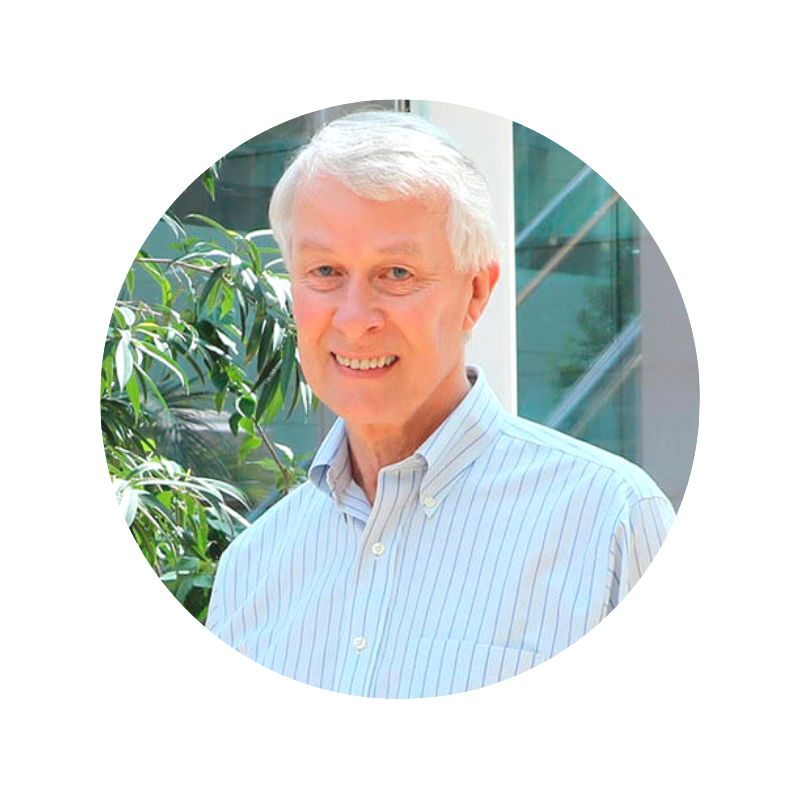 Richard J. Roberts Ph.D. FRS is Chief Scientific officer at New England Biolabs and serves on Grow More Foundation’s Board. In 2016 you launched an initiative urging the NGO Greenpeace to stop its campaign against GMOs. Why take up this fight? I was invited to a symposium celebrating Marc Van Montagu’s birthday. He’s one of the people who discovered how to genetically modify plants using the Agrobacterium system. I spent a day in Ghent at a meeting listening, for the most part, to plant scientists talk about, not just the work they were doing, but also the difficulties that they’d had in Europe because of Greenpeace and the anti-GMO people who really made it very difficult for them to do their work. It was clear from just listening to all of this that politicians and the anti-GMO folks really needed to be educated in some way and to hear from some people — not all the false material that the Green parties were putting out, Greenpeace in particular — but to really hear about the science from some people they might listen to. So, I thought maybe the Nobel Laureates could do something there. The day after this meeting, I was invited to go and talk to the European Commission in Brussels. I was scheduled to talk to them about the future of healthcare. I decided that I would take the opportunity to talk to them about GMOs and the future of food. I would make the case that food was medicine. If you are hungry, food is medicine. I gave a talk about GMOs that was based on that premise, and I got a very good reaction to it. An Italian senator came up to me after and said that she’d changed her mind completely on the GMO issue. She’d been anti-GMO before she heard my talk, and now she was totally pro-GMO, and really would try to do something about it. A lot of the staff members of the people that came and talked to me and said that was a conversation that was not going on in Europe, and they found it very refreshing that someone like myself was talking about this. After that, I slowly accumulated a list of Laureates who felt the way I did. At the moment, we have 129 Nobel laureates all signed onto this campaign urging Greenpeace to follow the science and stop spreading false information. Just be honest and admit this was an issue they got wrong. They do a lot of good stuff. This is one of the things they’ve done very badly. The sad part about it is that it doesn’t affect the developed world, which is why they were able to get away with it. We have no shortage of food here. You don’t see many thin Americans and Europeans. But in the developing world, they need better food and better nutrition, and they need a lot of the agricultural benefits that GMOs can bring to them. We’re trying to get this word to as many politicians as we can in the developing world so they can start to listen to scientists instead of listening to these anti-GMO people who are telling lies about the science. If the science is sound, why is there so much debate about whether or not GMOs are okay? Greenpeace didn’t like the fact that big American agri-business was taking over the food supply in Europe. And they wanted to stop it. But they couldn’t stop it by banning Monsanto, Syngenta, or some of these other companies because these companies actually provided the seeds for foods that European farmers were growing. They chose GMOs as an issue to say GMOs is a way that the American seed companies are really trying to take over the food supply in Europe, and that went down well in Europe. What Greenpeace did was to start this anti-GMO campaign by claiming that there were going to be all sorts of dangers associated with it. All imaginary dangers, absolutely nothing that was shown to be true. And they got people scared as a result of it. This turned out to be very good for their fundraising. Greenpeace ended up having a massive offer of money coming in. They have an annual budget guessed to be about 500 million euros in Europe. This is an NGO. This is very good for them. So, they’ve been sticking with this issue and they’ve been doing everything they can to sort of stop GMOs from spreading. They know as well as we do that the developing world needs them, but they can’t claim that GMOs are OK for the developing world but they’re no good for Europe. Their contributions come from Europe, they don’t come from the developing world. One way to set the record straight about GMOs is to educate people on the science behind it. Well, I think that’s part of it. I think the real problem with the GMO issue is that for most people it’s an emotional one. It’s not about the science. Most people don’t understand the science, they don’t want to know about science, and even when it is explained to them, that’s not what does it. But if you can find a good emotional argument, something that gets to the heartstrings, then they can be persuaded to change their minds. And there are several such issues out there. One that I use a great deal is golden rice. There are somewhere around two million kids who either die or become developmentally impaired because they don’t get enough vitamin A. One way the GMO folks have been trying to correct this is from an initiative started in 1999 to develop a form of rice that would actually have beta carotene in the grain. So that when people eat it, they get beta carotene, which is the precursor for vitamin A.
Greenpeace has done everything they possibly can to stop the development of this. For the simple reason that if that gets out into the market and starts being widely used, it’s going to be difficult for them to make the case that GMOs are dangerous. You don’t hear them complaining to diabetics that they shouldn’t be taking insulin because it comes from a GMO. This year Uganda passed a very important law related to GOs. What's the significance of that law? In Uganda, bananas have been affected by something called Xanthomonas wilt, which is a bacterial infection that kills the banana plant. It’s a major problem in Uganda. Bananas are a very important food source there. They provide 30 percent of the calories for the population. And Ugandans are having trouble keeping up with the infection. There is no natural solution. There are no banana plants that are resistant to Xanthomonas wilt. So you can’t use conventional breeding in order to introduce the trait. But there’s a very good GM solution. It turns out that sweet peppers have two genes in them which defeats Xanthomonas wilt. You can move those genes into bananas, which has been done, and then the bananas are resistant. In order to then make that into a product, they need legislation. They’ve been trying to get this bill through parliament for a number of years now, which would allow them to actually do the field trials and get tested and get everything going. That bill passed not too long ago in the Ugandan parliament. If you know how typical breeding works, you take two plants that are somewhat unrelated in the sense that they’re quite far apart, but they’re still able to breed together. It’s sort of like taking two humans who are quite different from one another but still have the capability of interbreeding. Typically, what you do is breed these two plants and they exchange loads of genes, and then you select from the progeny the ones you want. And this tends to be a very slow process, to eventually get the trait that you want. You take a plant that has one trait that you want, maybe it grows nice and tall, and the other one doesn’t. You want to take the gene that makes it grow tall and put it in the one that doesn’t. And that’s a slow process. It’s difficult and it’s, in many ways, a random process, because you mix all the genes up and then you wait until you’ve got something that looks as though it’s okay. You’ve picked up the gene you want, but you also pick up a lot of genes you don’t want. The GMO approach says I will identify the gene that makes this plant grow tall and I will take that gene and put it directly into this plant that needs it. That is the GMO method. You don’t have to be a genius to figure out that it’s safer than mixing everything up. The analogy I like to use is let’s say I’ve got two cars. One of them has a GPS system and one doesn’t. And I want to put the GPS system from one car into the one that doesn’t have it. Do I take the two cars apart to mix them all up and then hope that I can get a car that works with a GPS system at the end? No. You take the GPS system and you put it in the car that doesn’t have it. This is the equivalent of the GMO method, which Greenpeace will argue is very dangerous. And then they will say, well, what if you take the system from an aeroplane and put it in a car? Does that mean the car is now going to fly? Well, if you listen to the anti-GMO arguments, they will tell you this is precisely what may happen. It makes no sense scientifically.